Berlinica Publishing LLC, 9781935902805, 90pp. Vividly describing the conflict between the two superpowers—the U.S. and the Soviet Union—as it played out in Berlin, this book highlights the dramatic events that occurred in the divided city that was the frontier town, the spy post, and the battlefield. It was a time in Berlin that touched the whole world: the blockade, the airlift, the uprising of June 1953, the construction of the Wall, and the fall of the Iron Curtain. Stories of escape and espionage are included in this concise but detailed book which describes key points from 1945 up through the fall of the Berlin Wall. 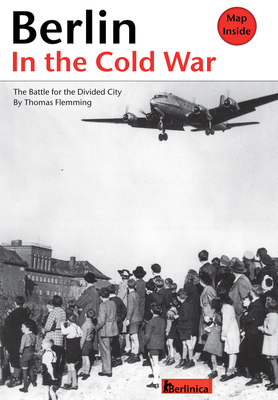 Thomas Flemming is a historian and philosopher who often writes on post-war history. He curated "The History of World War I "exhibit at the Deutsches Historisches Museum. He lives in Berlin.